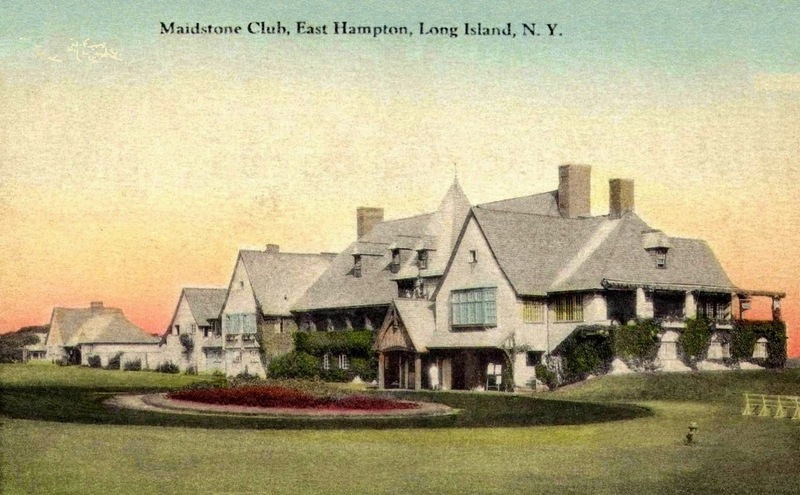 The Maidstone Club designed by Roger Bullard c. 1921 in East Hampton following a fire that destroyed the previous clubhouse. Founded in 1891, the club's original golf course was designed by William H. Tucker. The exterior of the clubhouse was remodeled by Aymar Embury II in 1953. Click HERE to see the Maidstone Club on bing. The 1953 exterior remodel certainly gave this clubhouse a more .... what's a good word? ... look. I would say "sterile"......Gone are the window boxes, the beautiful old entrance. ivy, etc. Still a pretty setting, but very commercial looking.